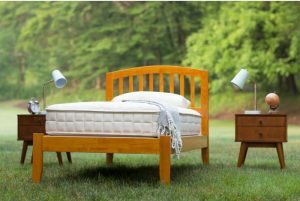 Royal Pedic’s Premier Natural Cotton Mattress is a firm innerspring mattress made without latex or wool. 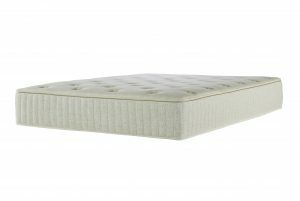 This mattress features an organic cotton batting hand tufted to an innerspring unit. Doctor’s note from an M.D. 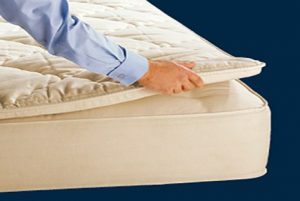 or Chiropractor (D.C.) is required for this particular mattress model because it’s not flame resistant. 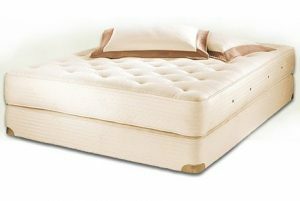 Made by Royal-Pedic of Beverly Hills, this is a beautifully crafted mattress part of the Premier Natural Collection. This eight and a half inch tall, firm mattress features German engineered 950i, individually pocketed coil innerspring unit at the core surrounded by organic cotton batting, and a luxurious organic cotton ticking. This mattress does not use latex or wool providing an option for individuals who are allergic to these materials. This mattress is one of the most firm made by Royal Pedic. Wool is normally used as a fire retardant and its removal results in a non-fire retardant mattress which requires a doctor’s note from an M.D. or Chiropractor (D.C.). 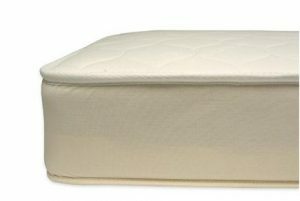 For a plusher feel add a Royal-Pedic Premier Organic Pillowtop Pad. Surrounding the spring unit on each side are layers of compressed organic cotton battting. Over 60 pounds of organic staple cotton batting is used in a king model. In between the coils and the organic cotton batting is a layer of organic cotton canvas which is used to keep the cotton batting from compressing into the coils. 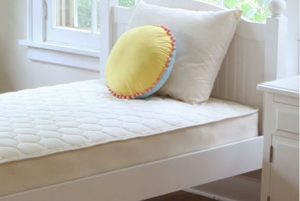 The organic cotton batting and innerspring unit is encased in an organic German cotton fabric with a smooth sateen feel. 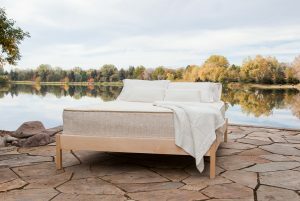 Read more about the organic cotton used to make this organic mattress. 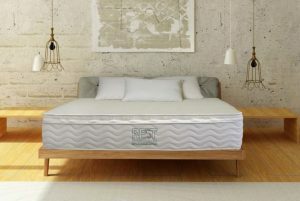 To compress the organic cotton batting and to create a firm sleeping surface that will be resistant to body impressions, the Royal-Pedic Organic Cotton Innerspring mattress is hand tufted, meaning straps are sewn all the way through the mattress to hold all the materials together firmly. This is in contrast to a quilted mattress where the materials are just fastened at the edges.